I love that your DD does that penguins promotion! wish ours did for the islanders although they lost last night so I wouldn't get much of a coffee deal today lol. I definitely eat more when I run more! You are so on it with your day--marathon training suits you, it seems! We need a Blackhawks promotion like that at coffee shops--ain't never gonna happen if it is based on the bears. I think so too! I thrive with a schedule and staying busy. I was really hoping for an adult snow day today, but alas, here I am at work! I totally applaud you for running in the cold - winter finally feels like it's here! Same for me! I'm surprised you don't get one since the district had a delay today..you would think everyone that works for them would get one! It's not very snowy here in Denver, but the mornings are cold. Last week, I ran with a friend in 13 degree weather…brrrr!!! Ooh wow, those city lights would be GLORIOUS to run around in; what a beautiful city you live in to run! I love seeing what you're up to all day! These posts are so cool. I played the piano when I was a kid, and I really wish we had one here. Whenever I'm nervous or agitated, I play The Entertainer with my fingers on an imaginary keyboard. I love seeing what other people eat during the day, it always gives me some good ideas. We got 20-25 cm of snow between Monday night and yesterday afternoon. I would love to learn to play the piano, it's something that's on my bucket list and will eventually make it to the the top of the list one of these days! I hope you get to learn..it's really fun! I love that vanilla coffee is your celebration. 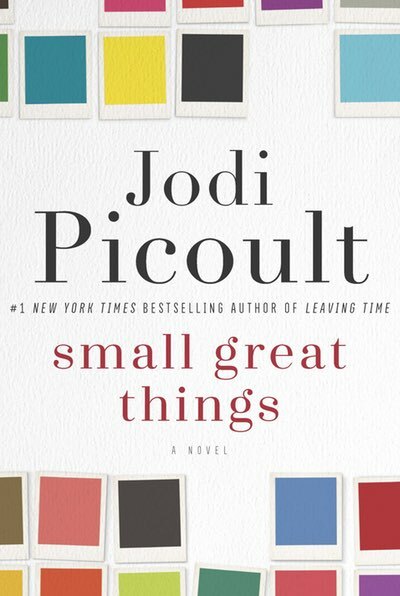 Good to hear the positive review about the Jodi Picoult book. I do love her, and need a new book to cozy up with. Do you think youll continue to run outside even when its icy/snowy and cold on the regular? That dinner looks lovely! What recipe did you use for the gingerbread cookies they look so good! How gorgeous is your run view?! You are so much braver than me running out in the cold - and before the sun comes up too!